In Yo-kai Watch, a young boy Keita Amano, known as Nathan Adams in this Western version of the Japanese game, discovers a Yo-kai named Whisper who decides to gift him with a very special accessory -- the Yo-kai Watch. 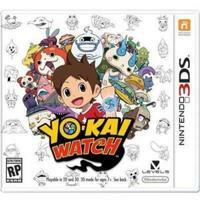 Use the Yo-kai Watch to see and identify supernatural entities haunting New Sakura Town (Springdale) who have been acting mischievously against the town's residents. As you explore the town and learn more about the problems of each resident, find and make friends with a wide variety of Yo-kai to discover why each one is acting out. Fight battles with other Yo-kai with the help of the ones you have collected as friends to make the town a better place!